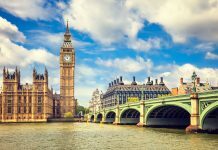 With over 19.8 million tourists and visitors a year in London, it’s no surprise that it often comes in the top ten tourist destinations in the entire world. 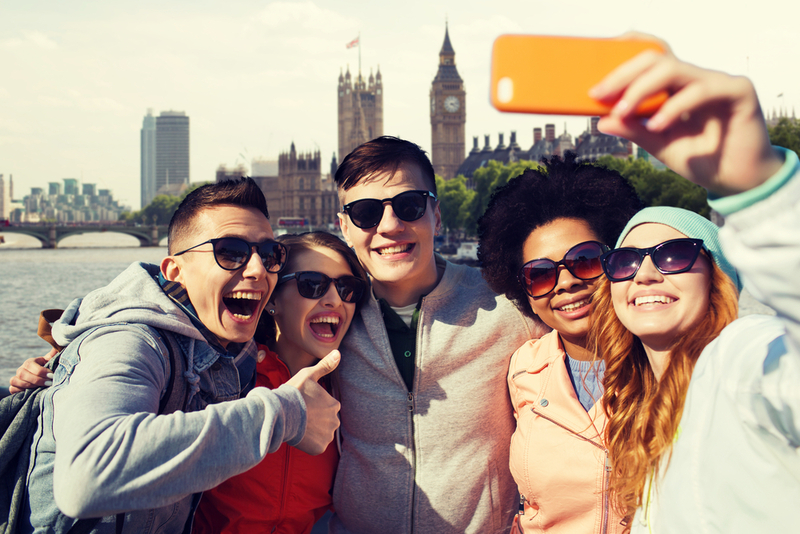 Beating Paris and New York on the stylish cities which attract international travellers, London offers an eclectic range of world class entertainment, night life, great food and luxury, great value accommodation in abundance. With central London Hotel special offers currently rolling out the red carpet for any London holidaymakers, now is a better time than any to visit the city. Guidebooks are all well and good, giving you an in depth deep dive into the city and it’s sights, but they can become outdated rather easily, and can cost a small fortune (especially if you opt for the hardback edition!) That’s why we’ve concocted this online cornucopia of London, giving you bite size chunks of information to make your stay efficient and manageable. Whether you’re looking for family fun, long nights out, or just want to get to know the city a little better, everything you need is right here on the Shaftesbury hotel group website. When it comes to all round crowd pleasers, London always comes out on top. With millennia of history, thrilling events and stunning architecture, London will please every taste and need for tourists. In part, this is because of the expansive size of the city, making space for a plethora of cultures and nationalities, whilst the unique charm of the UK in general implies a style and identity which is unlike any other which is hard to match. London is famous for its underground service and extensive array of airports linking efficiently into the city. Part of the reason for such a large internationally orientated transport infrastructure is to accommodate the commerce and tourism which flows through the city on a daily basis. On the subject of international transport, there are five London-centric airports orbiting or embedded within the city. These are Heathrow airport to the North west, one of the largest airports in the world. Another major airport is Gatwick in the South East, whilst smaller airports in the area include Stansted, Luton and London City all based around East London or on the outskirts. London’s train terminuses all link to different parts of the UK, making each one a regional hub. For instance, Victoria links to the South East, Paddington to the West and midlands, Euston to the North and Liverpool Street to the East. There are also a whole host of other train stations in the city which give easy and efficient access to the London commuter belt and beyond. Aside from the train system, London has one of the largest underground routes in the world. With 11 lines spanning over 200 miles of track, the London Underground is fast, efficient, and at rush hour, incredibly busy! Bus services also serve hundreds of miles of the city, and are fast, reliable and easy to use. Santander Cycles are one of the most recent additions, bringing eco friendly, great value and health conscious public transport to the cities growing number of cycle paths. So you’ve got to grips with your Santander Cycle, you’ve picked up your off peak travel card, and you know your Kings Cross from your Paddington. What do you and your family do now? Based in the iconic Regents Park, London Zoo is the the oldest zoo in the world and a perfect family day out, playing host to a range of exotic animals including tigers, baboons and rare snakes. Hyde Park is one of London’s largest parks and incorporates children’s play areas, modern art galleries and the legendary Serpentine Lake which includes pedalos and even a swimming lido. Museum Row is based in South Kensington and is made up of three free and incredibly varied museums. The Science Museum is an interactive and incredibly fun museum exploring many aspects of the scientific world, the Natural History Museum focuses on how the earth was formed, alongside the animal world, both prehistoric and modern. The Southbank Centre hosts a variety of free events, promising workshops, crafts fairs and music and dance events. For an accessible, all encompassing arts hub overlooking the banks of the Thames, the Southbank Centre will bring something new for every day of the week. Want to introduce your kids to the wide world of art? The Tate Modern and the Tate Britain are free and give a great glimpse into the world of international and contemporary art. Housed in two equally stunning buildings, the Tate galleries will transport all ages to a different world. London is well known for being one of the entertainment capitals of the Western World. With theatre, art, music, film and dance venues on almost every street, you’re never short of a showstopper in London. For the best in mainstream theatre and musicals, the West end, a stretch of West London which houses a wide range of theatres, brings some of the best known shows in the world to the streets of London. The National Theatre is located on the South Bank and offers central London visitors a chance to see some of the best in contemporary and classic theatre. 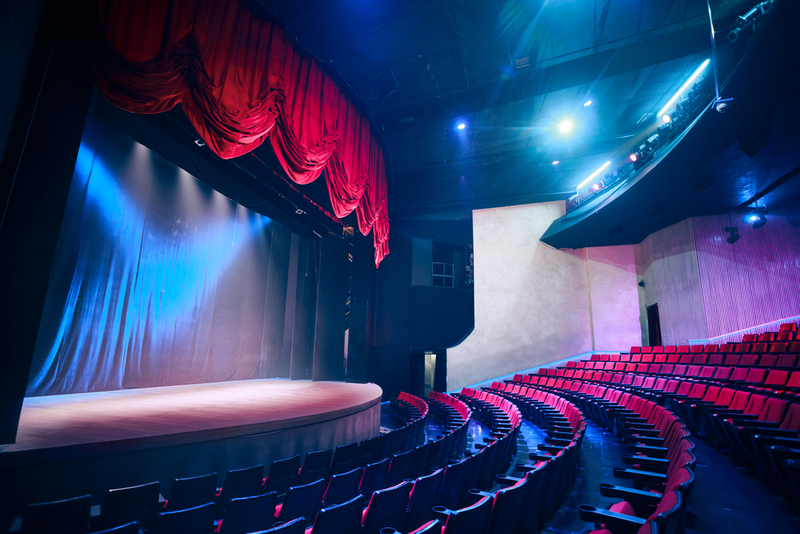 With a range of shows aimed at adults and children alike, the National Theatre is a must visit for any budding thespian visiting London. The Barbican is a stunning concrete brutalist structure in the East of London which acts as an international hub for theatre, dance, art, film and music. Here you’ll find artists ranging from Philip Glass to Shakespeare having works performed in one of the Barbicans many venues. Here you’ll also find an in house cinema which brings both box office hits and international gems to one of the best silver screens of London. With a movie premiere in London almost every week and a huge range of notable movie locations scattered across the boroughs, London is a must for movie making and watching. With a wide range of internationally acclaimed film festivals, alongside some of the best cinemas in the country, London is a moviegoers dream. Leicester square is home to the monumental Empire Cinema, Odeon and Vue. It is at these three cinemas that film festival screenings and premieres take place, the big screen trio projecting their own unique character and culture to the moviegoing table. Almost every week the red carpet is laid out, making way for celebrities and paparazzi to descend on the central square in a blaze of high end fashion and camera flashes. If you’re looking for a movie going experience which is a little lower key, then one of the many boutique picturehouses across the city will make for a more refined cinephile retreat. For East London movie watching, the Rio in Dalston and the Rich Mix in Shoreditch are surefire hits, whilst in South the Ritzy in Brixton reigns supreme. For central London cult movies, the Prince Charles brings a menu of golden oldies and all night screenings, whilst West London’s ICA brings arthouse cinema centre stage. From Abbey Road to the Albert Hall, London is well known for hosting some of the best musicians in the world. With a history of pop and classical, London has become a hot spot for music students and emerging artists from across the world. If you’re a massive music fan and visiting the city, don;t miss these stellar venues. One of the coolest music venues in central London, the 100 Club has played host to a wide range of musicians over the years. Originally a Jazz and Swing club for working Londoners and American GI’s, the club became one of the best Beat and Punk clubs in the 70’s, a reputation it still holds into the 21st century. Dating back to 1904, this amazing West London venue was a bingo hall before becoming one of the most prominent music venues in the area. Showcasing everything from international folk to pop acts, Bush Hall is a beautifully decorated and beautiful sounding jewel in the Shepherds Bush crown. Opened on Boxing Day in the year 1900, KOKO is one of the most high profile music venues in the city and brings in a wide range of performers from across the world. If you’re looking for a great night out in Camden, then KOKO is one of the best club venues, holding up to 2400 people a night. Specific music venues are one thing, but clubbing and nightlife is quite another. 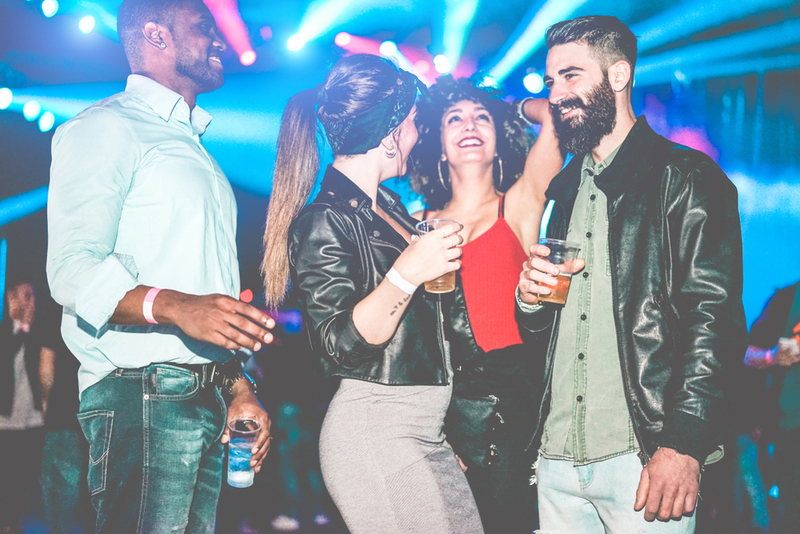 There are a variety of areas in London which are famous for their buzzing party scene, and if you happen to be visiting the city without kids, then why not check out these prime party spots in the city. Shed the idea that central London is just for commuters and tourists, and take a step into the boisterous night life of Shoreditch, With gay bars, pubs and secret clubs all rolled into a few miles of street, you’ll be coming back to Shoreditch every weekend. Based further out in East London, Dalston is home to some of the best in soul and techno clubs in the city. With venues such as Vogue Fabric and the Dalston Superstore attracting London’s young and trendy, the eclectic venues in Dalston will have you dancing all night. With the likes of Scala and the Lexington within walking distance and Central Saint Martins art school just round the corner, this North London area has a history of punk and creativity, the legacy of which has fed into its contemporary nightlife. Burning the midnight oil isn’t for everyone. Some people prefer a nice walk in the park, and London has those in abundance. Based between Great Portland Street and Baker Street, Regents Park is home to Primrose Hill, givign one of the best views of London’s skyline in the city, whilst also housing one of the oldest zoos in the world. With yearly sculpture fairs, Regents Park is a must for animal and arts lovers, as well as anyone looking for a good instagram photo of the London sunset. Dubbed the “people’s park” by the queen it was named after, Victoria Park is framed by canals and neighbours the trendy Hackney Wick area of East London. With cafes, skate parks and plenty of fields to frolic in, Victoria Park is one of the greenest spaces in the city. This North London nature reserve brings forestry and unadulterated wilderness to the Highgate and Archway area of London. With an all natural swimming pond, Hampstead Heath is one of the most idyllic nature spots in London. Once a royal hunting park, Richmond Park is now a deer park and nature reserve spanning a grade I listed 955 hectares. 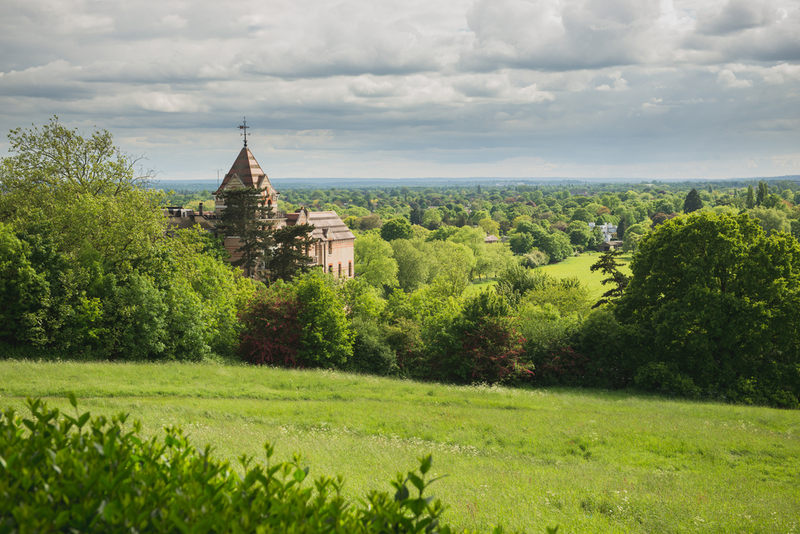 With deers, botanic gardens and beautiful windswept fields, Richmond Park is another great example of the natural world growing in the heart of the urban. 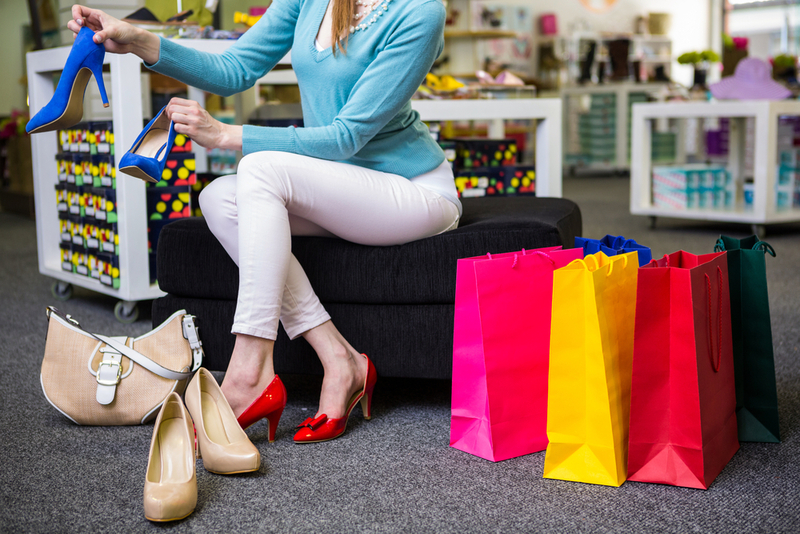 Alongside the central London Hotel special offers, you can also find great value shopping experiences throughout the city. For souvenirs and memorabilia, there’s no city quite like London, a metropolis of fashion, commerce and creativity. Oxford Street is the busiest high street in Europe, and this fact is not surprising when you take into account the amount of high street brand flagship branches and department stores which litter the mile of road. With brands such as TopShop, JD Sports and John Lewis bringing the best in UK clothes and homeware, you’ll find it hard not to shop till you drop when visiting Oxford Street. Best just outside of the west End, Covent Garden is well known for its boutique fashion stores and luxury market stalls. Hosting the Tin Tin Shop, the Moomin Shop, Fred Perry alongside the Apple Store and a dizzying array of classic London pubs, the quirky Covent Garden is a great place for souvenir shopping. Based in the Kensington area of London, Portobello Market is a weekend market on the mile long Portobello Road in Notting Hill. Here you’ll find a range of antiques, furniture, bric a brac and vintage fashion, all being sold in true London market style. With one in Shepherds Bush and one in Stratford, the Westfields shopping centre group, an Australian conglomerate, has cornered the West and East shopping market, giving a high tech and modern platform to some of the best international high street brands out there. It wouldn’t be a city break if you didn’t go sightseeing! London has good millennia of history, making for some rich history, and as the capital of a country which once had one of the largest empires in the world, London is full of proud monuments and beautiful memorials for countless figures and events throughout history. With a history stretching back 700 years, St Paul’s Cathedral is one of the most impressive Protestant cathedrals in the world. 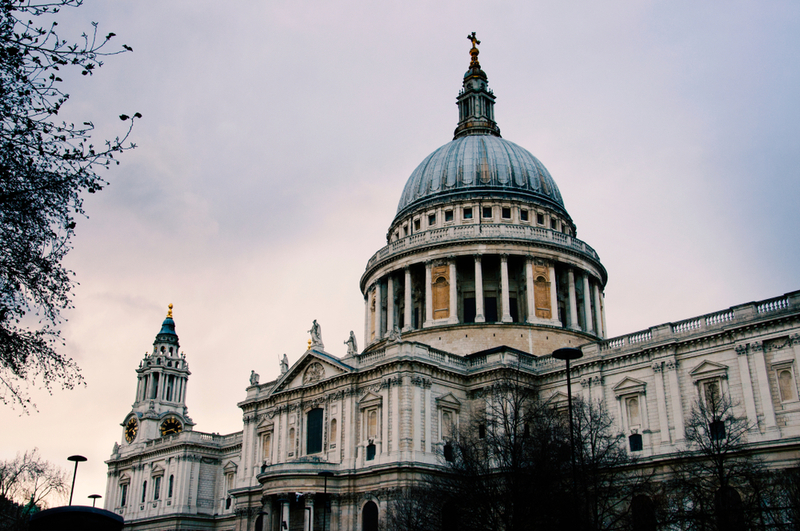 As the resting place of many famous figures, and also holding funeral and wedding services for the likes of Winston Churchill, St Paul’s Cathedral is a stunning feat of architecture as well as being a site of religious significance. Watch the changing of the guard from outside the gates of this magnificent palace. With a range of parks in the vicinity, it’s well worth a walk past Buckingham Palace during your trip to London. As the official residence of the Queen, you might even see her coming in and out of the outer gate! The 19th century addition to Westminster Palace, Big Ben, or Elizabeth Tower is one of the most iconic sites in the city, standing over the Thames like a watchful guardian. The Big Ben rises 96 metres and, when it has finished refurbishment in 2021, will chime on the hour, resonating its familiar and comforting BONG through the centre of London. Located not far from some of the best 4 star hotels in London, Trafalgar Square is home to Nelson’s Column, the towering monument to the legendary 19th century Admiral, whilst the gold Lion gilded fountain is sure to make for some beautiful holiday photos. Be sure to check out the nearby National Portrait and National Gallery in the near vicinity, making for two of the most quintessentially British art galleries in the city.